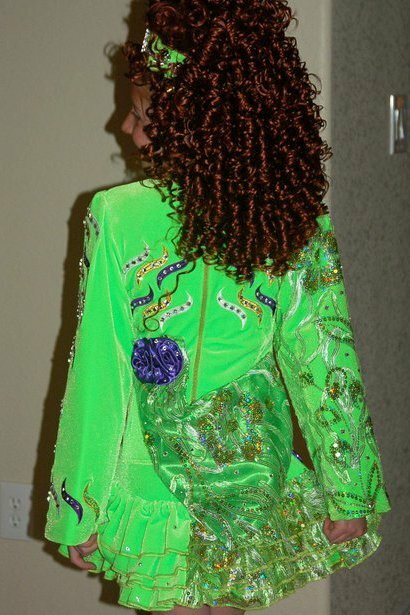 Gorgeous one of a kind Emerald Key World Qualifier dress worn at Belfast. Less than one year old, dancer is a petite 11 yr old Open Champ. 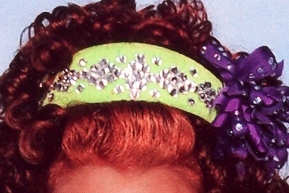 Made of green velvet with gold lace overlay and lots of purple, white, and gold embellishments. Really stands out on stage. Comes with bloomers and headpiece. Asking Price: $US925.00. Shipping costs are not included in the asking price. Returns are negotiable.